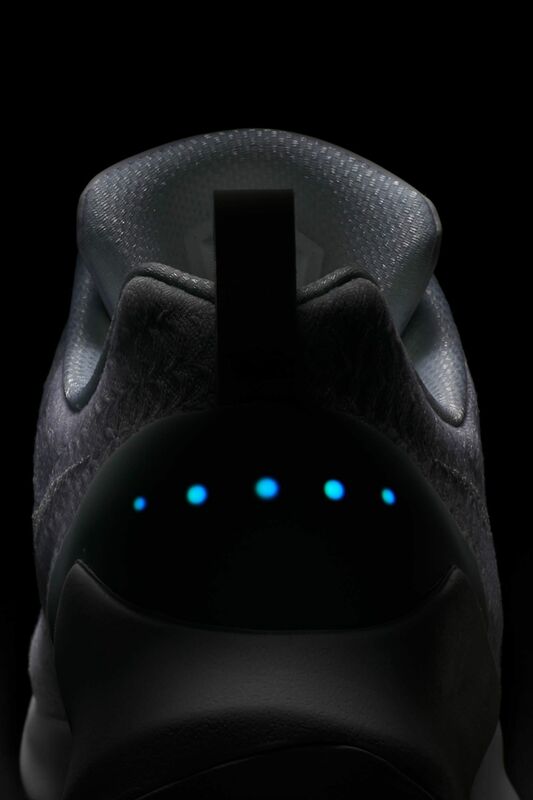 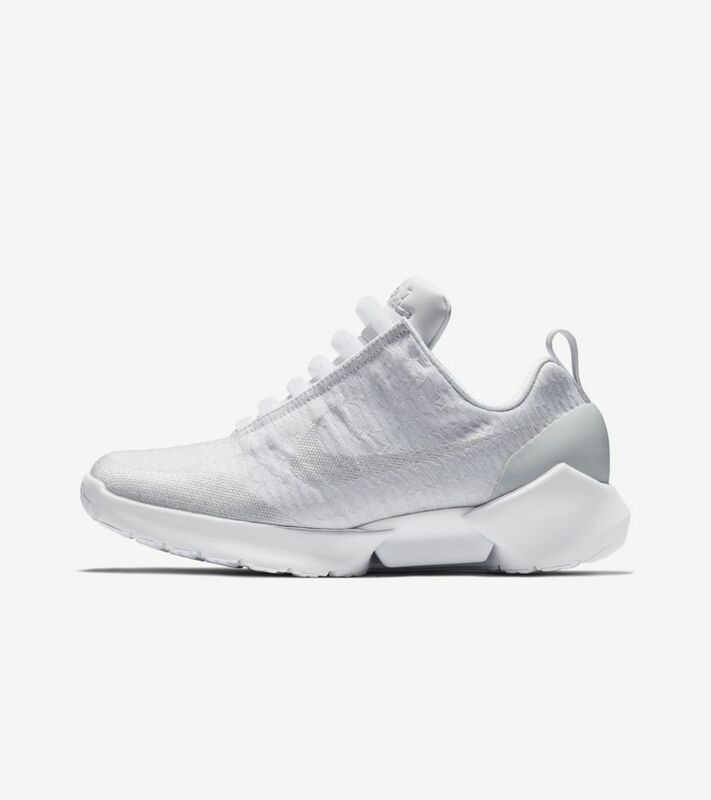 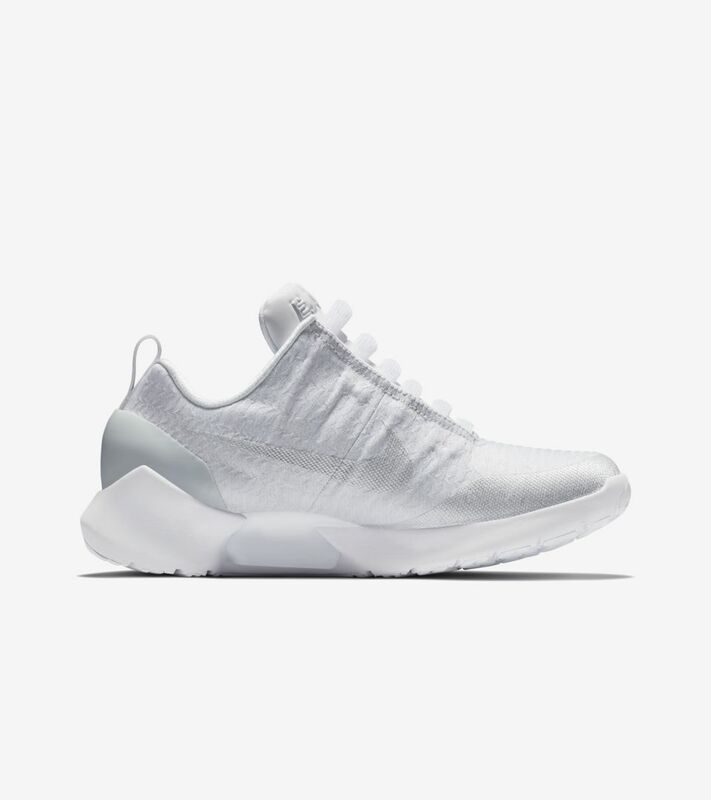 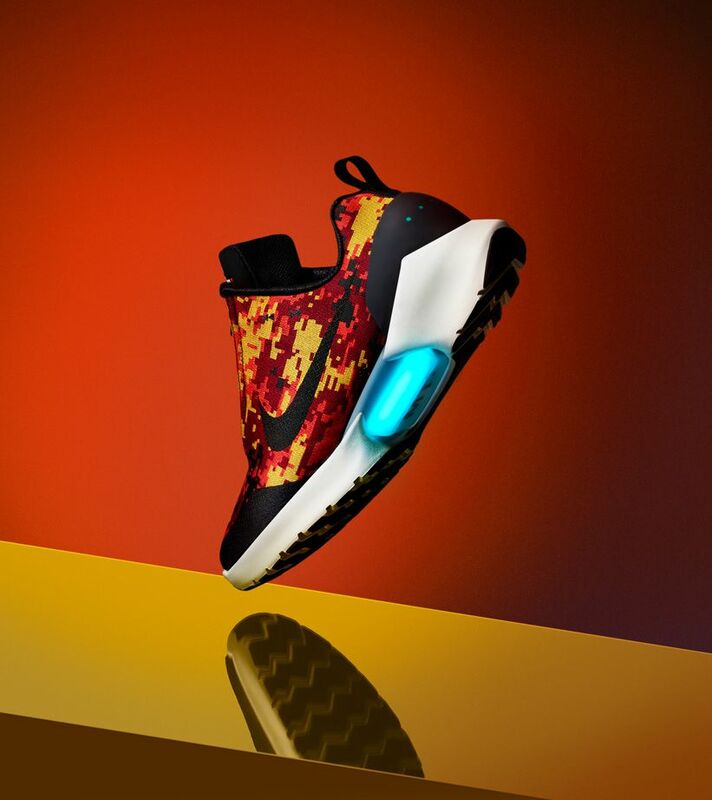 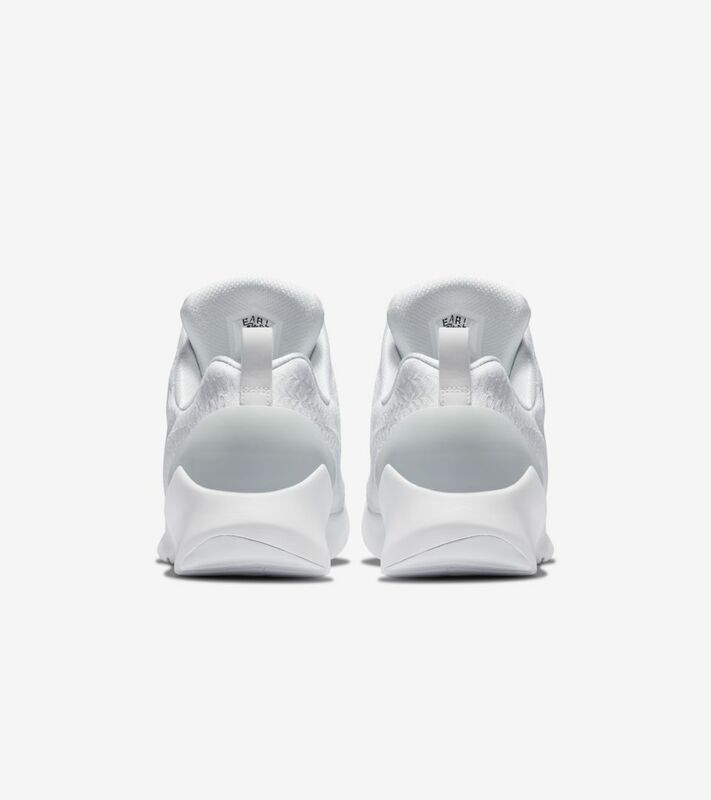 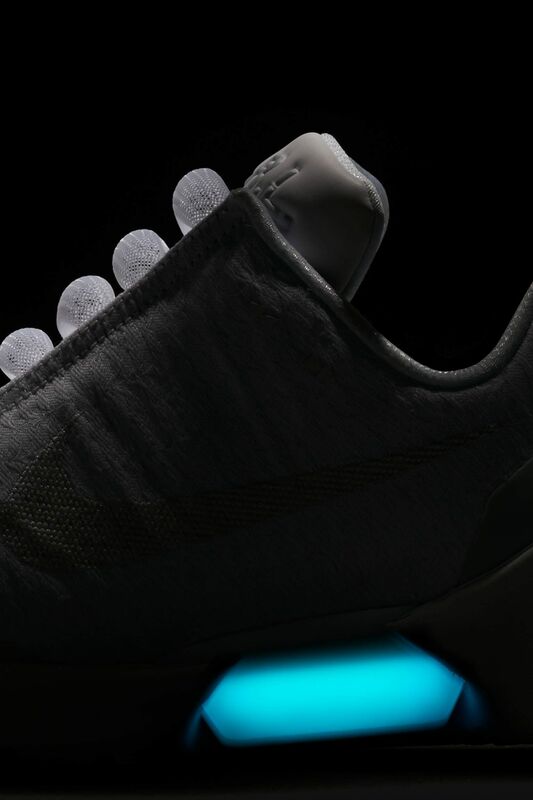 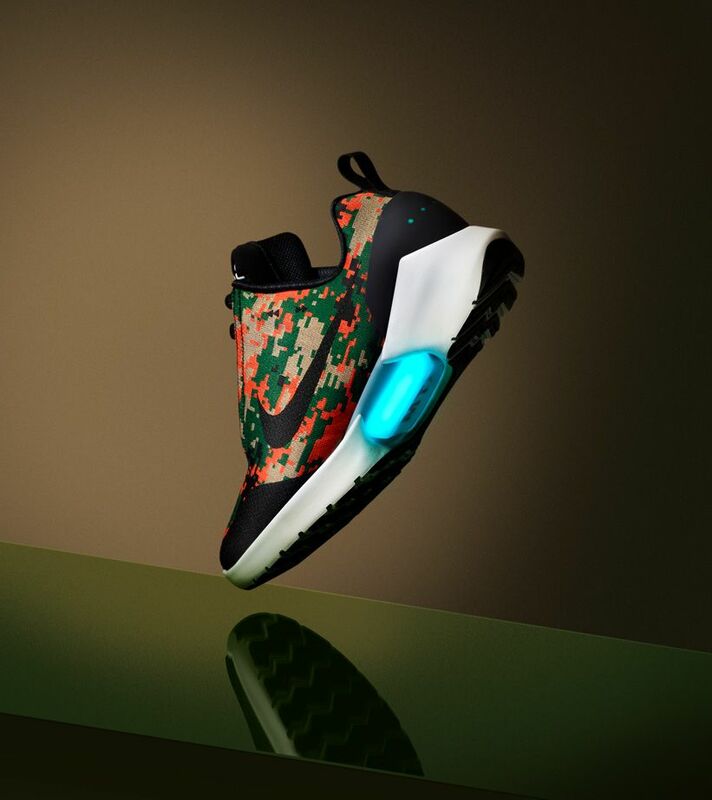 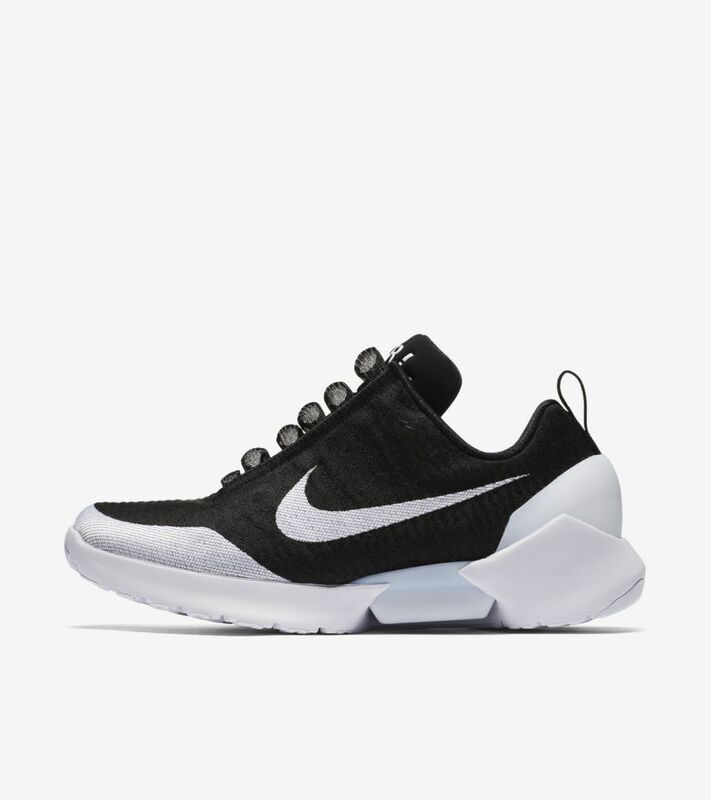 Designed by Tinker Hatfield, the Nike HyperAdapt 1.0 is the payoff of significant research into digital, electrical and mechanical engineering. 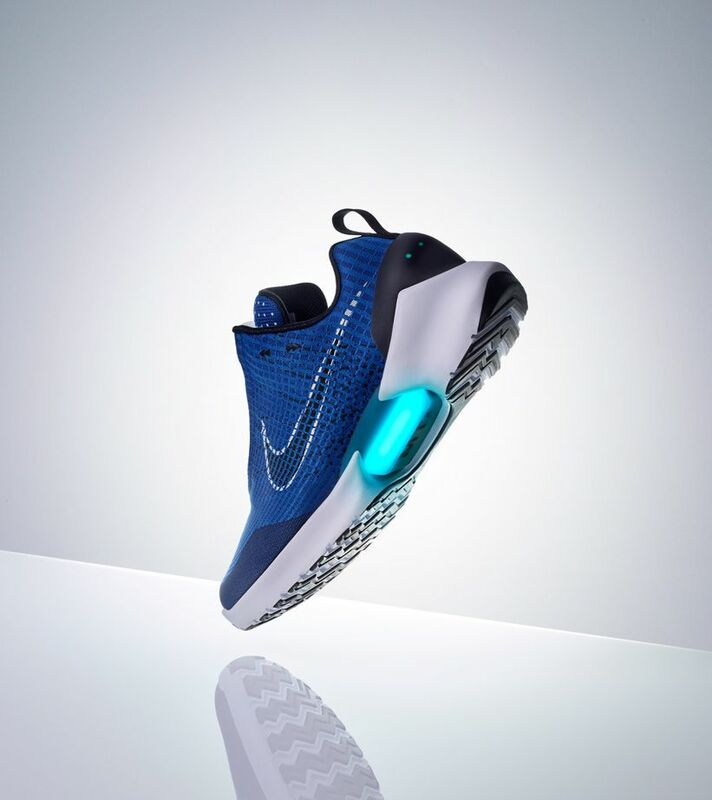 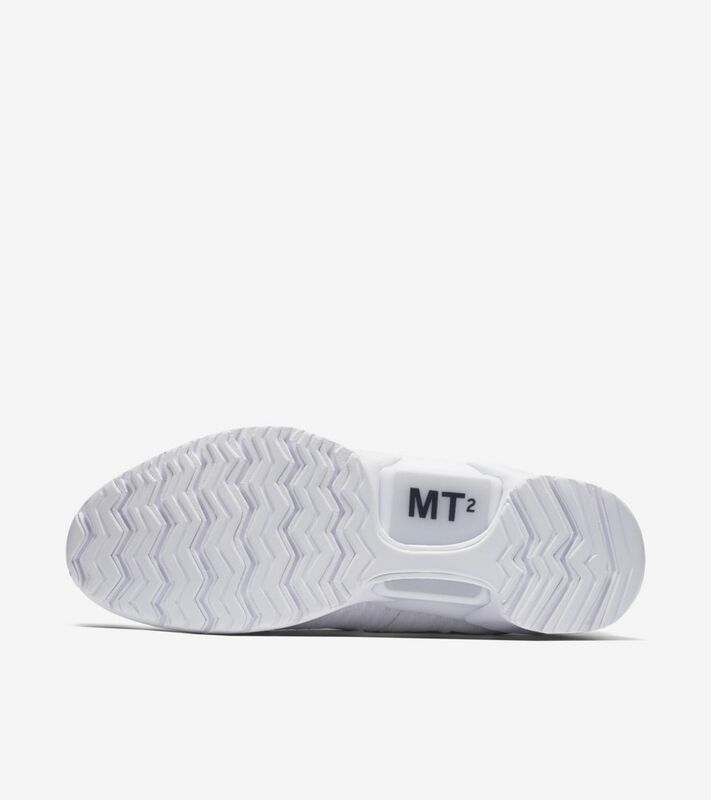 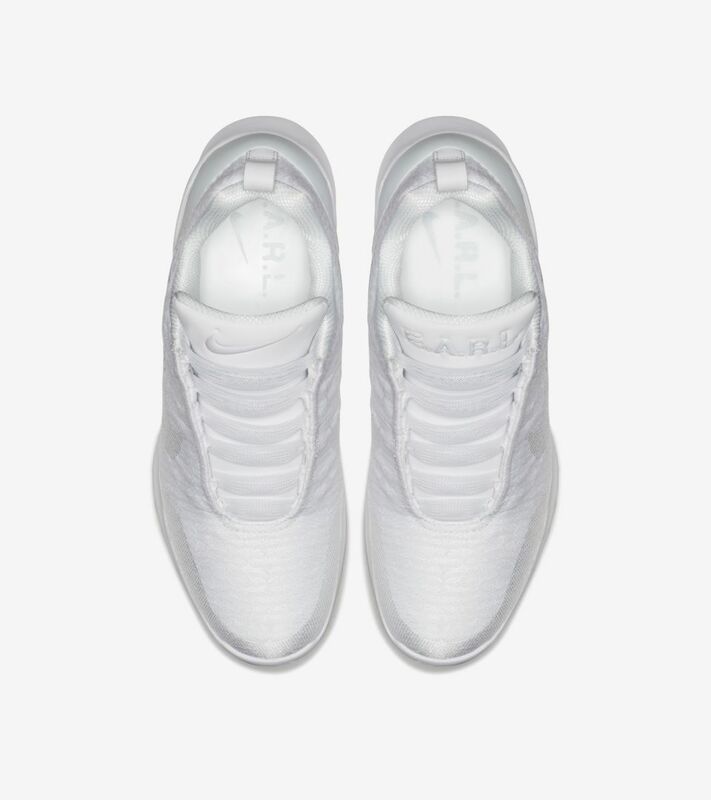 Powered by an underfoot-lacing mechanism, the shoe proposes a groundbreaking solution to individual idiosyncrasies in lacing and fit preferences. 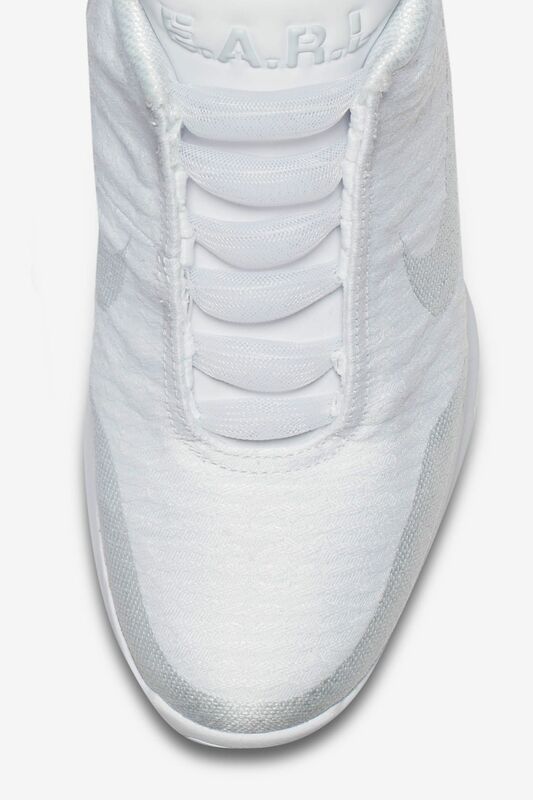 That means the undue pressure caused by tight tying and slippage resulting from loose laces are relics of the past. 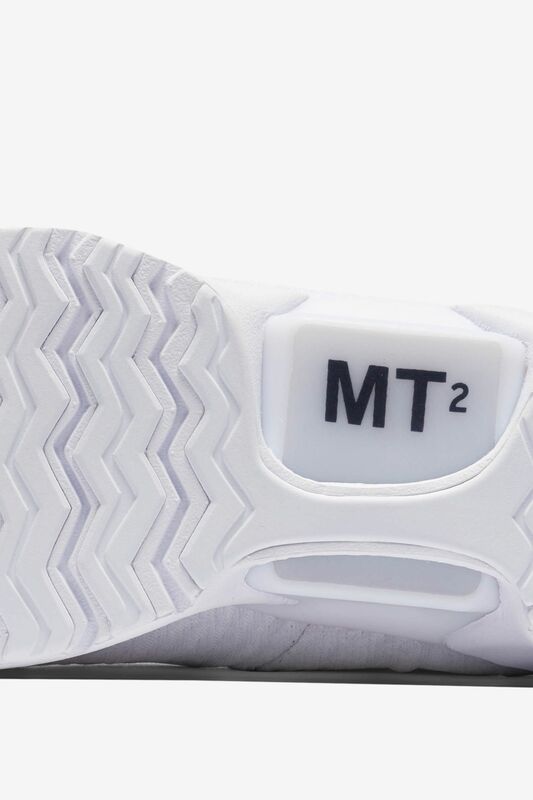 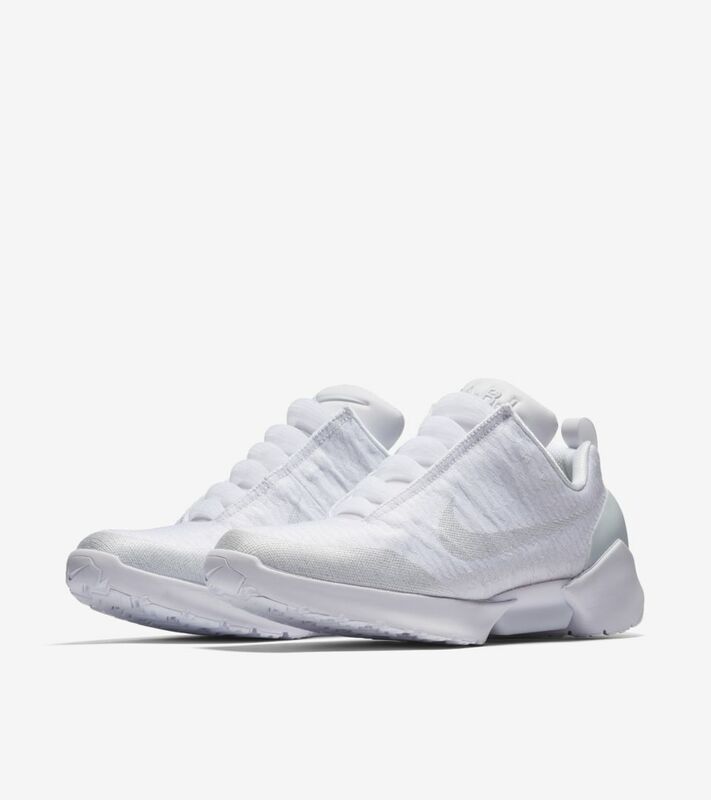 Precise, consistent, personalized lockdown can now be manually adjusted on the go in a new white and pure platinum colorway.